Manchester is a city vibrant with high-end shopping (Harvey Nichols – sigh! ), buzzing with BBC stars, and has plenty of stylish restaurants and swanky night life to enjoy. You can find something to suit all lifestyles in Manchester, including the spa and wellness lovers. 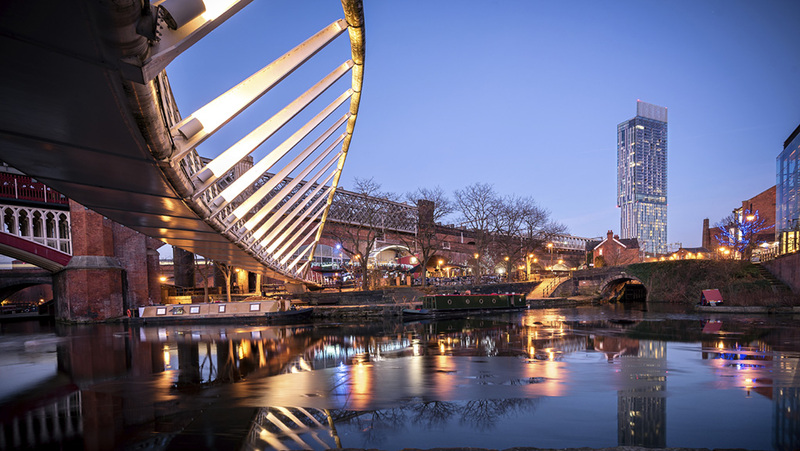 Whether you want to escape the busy streets for some quiet down-time, or relax in the countryside just near enough to pop to the city when you need to, Manchester has a good selection of hotel and day spas to choose from. 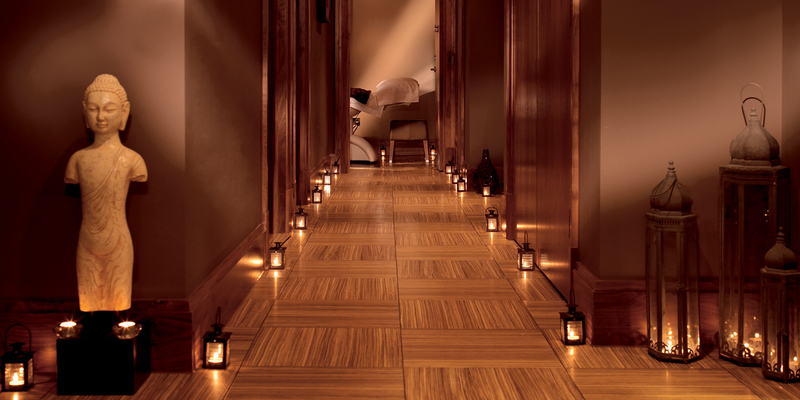 Here are the Spa Spies top five spas in Manchester. In central Manchester, The Spa at the Midland Hotel is a perfect retreat for business and leisure guests. Soak in a tranquil relaxation pool or enjoy the current of a whirlpool. Relax in sumptuous lounges and venture in and out of the aromatherapy steam room, alder wood sauna and refreshing arctic rain shower. The Midland Spa provides a sanctuary to escape to, with both Big Sleep and Time Out relaxation areas featuring sound cancelling sleep chambers, relaxation pods, and airtime sliding seats. Drift in and let yourself be pampered. Hale Country Club Spa is set in the countryside only five minutes’ drive away from Manchester airport. The spa is on the top floor of the three floor country club, and is cool and chic with marble floors and sparkling décor. The spa features an indoor/outdoor vitality pool and a thermal area, lit with red and blue colours. Steam away in the fire and ice room or gaze out onto country views from the salt cave and hemlock sauna. The main wet facilities at Hale are on the ground floor; enjoy swimming lengths in the 20 metre indoor swimming pool, or floating in a heated outdoor pool and soaking up the sun. Situated in the heart of Cottonopolis, The Macdonald Manchester Hotel and Spa is easy to get to, whether you’re arriving by rail, car or on foot. The Harmony and Serenity Spa is sophisticated and sumptuous, with a signature thermal suite at the heart of the spa journey. Relax and treat yourself to a session in the hot rock and infra-red saunas, and indulge your senses in a eucalyptus scented steam room and sensation shower – then if you’re brave enough, cool down in the ice igloo. Worsley Park is only seven miles from downtown Manchester, and set within 200 acres of natural woodland. The hotel features parkland views, guest suites and an 18-hole championship golf course. Spa of Senses is within the main hotel building and has three treatment rooms offering a range of treatments and products from Decleor. The leisure facilities at Worlsey Park include a heated indoor swimming pool, steam room, sauna and spa bath. Sienna Spa and Health Club is part of the historical Raddison Blu Edwardian Manchester hotel. The building was once home to the Halle Orchestra, and still has the original façade. The former Free Trade Hall is now a grand and glitzy 263 bedroom hotel, and its subterranean spa and health club combines an indulgent spa day with good leisure facilities. Enjoy swimming in the 12-metre blue-lit pool, shared by spa guests and club members. Relax and soak up the heat in the Nordic sauna, steam room and whirlpool bath. Botox without needles? Do we have to drink it? !